Understanding Networking II is a self paced DVD course with workbook and certificate. Covers Internet, ISPs, IP Security, Viruses, Firewalls, Encryption, IPsec and VPNs. This course comes with 151 minutes of instruction, a comprehensive workbook/textbook with graphics and detailed notes, and a personalized certificate of completion from Teracom suitable for framing when you pass the final exercise. In this course, we cover the Internet and IP Security. Start at the beginning of the story, understanding where the Internet came from and its fundamental principles of operation. Then we'll look at some details and improvements such as the Domain Name System, MIME, HTML and HTTP... which form "the Web". We'll review how you can connect to the Web from a residence and from an enterprise or organization. In the second part, we'll make a reasonably comprehensive overview of security in the IP world. We'll begin with a discussion of risk areas, vulnerabilities and measures. Then we'll examine several areas: computer security and malicious software like viruses and Trojan Horses and the measures to protect against these risks; network security and firewalls, public key and private key encryption, authentication, IPsec and VPNs. This multimedia DVD-video - over 2 1/2 hours long - provides you with a real understanding of what the Internet is, how it functions and current issues, plus practical knowledge of computer security, viruses, exploits, network security and firewalls, information security, IPsec and VPNs. This course comes complete with a high-quality comprehensive workbook / textbook that's been called the best on-the-job reference tool around. Written in plain English, this easy-to-use reference includes copies of all graphics PLUS extensive detailed accompanying text. Topics are organized in logical groups to give you easy reference after the seminar to the practical experience, theoretical background, and unbiased information on industry technologies, products and trends you'll need. With numerous chapters covering all major topics, you'll obtain an invaluable resource impossible to find anywhere else in one book. Each course has an online knowledge evaluation test. Successful completion of the test results in certification of the student, who receives a certificate from Teracom suitable for framing. Length 151 minutes. DVD-R NTSC format. 64-page 8.5" x 11" softcover bound workbook. How do I order the Understanding Networking II DVD Course? 1. You can order online with a Credit Card or PayPal account (simply click the 'Add to Cart' button). 2. Or you can call us at (800) 321-2155 and ask for product 02-737. Foreign shipping expense will be higher. Understanding Networking I is a self paced DVD course with workbook and certificate. Covers Protocol Stacks,OSI Layers, IP Addressing, Frame Relay, ATM and more. Fundamentals of Datacom and Networking is a self paced DVD course with workbook and certificate. Covers WANs, LANs, Frames, Packets and the Network Cloud. Understanding Wireless is a self paced DVD course with workbook and certificate. 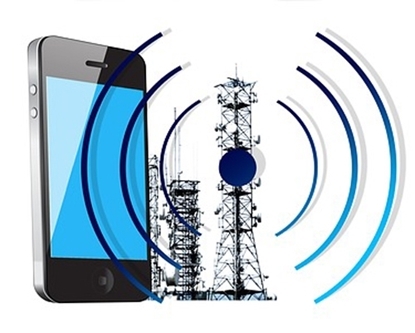 Covers fundamentals, mobile and fixed wireless.